For many homeowners across Colorado, deciding on installing hardwood flooring into your home is the easy part. The difficult decisions come in when you realize there are many more decisions from that point forward, such as color, type of hardwood, and width. Classic hardwood adds an upscale look to any home. And because hardwood is durable, it can be a welcome addition for many years to come. Yet when you’re deciding on what hardwood flooring choice to install, choosing a suitable board width can be one of your major hurdles. Plank width will convey a different message in different rooms. It will change the look and feel of your room, depending on the room size, and will set different moods depending on the color. A dark, wide wood plank, for instance, will create a very country, natural feel, while parquet flooring can add a touch of elegance to any home. For most homeowners, when they think of wood flooring, they think of long natural strips of wood to cover their rooms from end to end. 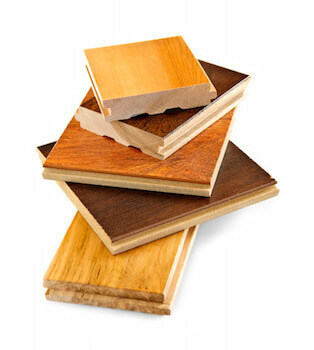 A typical board width used in strip flooring is less than 3 inches in width. You’ll often find strip wood floors in older homes because they used the wood that was readily available to them. Narrow floor boards create a contemporary, linear effect that can open up any room. The elongated appearance can also make a smaller room appear larger. By keeping the boards uniform, all in a lighter color, you can accentuate a modern feel throughout your home. Plank wood flooring is a popular choice because of the variety and styles available to compliment your tastes and décor. Plank wood flooring typically is 3 to 8 inches in width. The broader the width, the more rustic in appearance. When dealing with plank wood, originality is only limited by the imagination. You can find wooden planks that keep their original look and feel with knot holes and original grain characteristics, all interwoven into the planks through hand scraping. The weathered appearance can bring out rustic, country, or even a modern look, depending on how you combine it with décor inside your home. Wide planks will make large, open rooms feel more cozy and warm; avoid large planks in small, dark rooms as it will make the look even smaller. Parquet wood floors will add a touch of elegance throughout. Flooring blocks are often created in one to two foot blocks using assorted strips of wood in various lengths and widths. Parquet flooring creates a variety of geometric design options, such as standard, herringbone, block or baroque styles. Parquet comes in solid wood construction, as well as partial wood, depending on your budget choices. As you narrow down your choices, be sure to see your final selections in your room. Bring home samples to see how the coloring meshes with your décor, how the size looks against your walls. And if you need advice, just ask. We’ve been helping families like yours make flooring choices for years, and are happy to guide you to make the right choice for your home.